If you want to build muscle mass, getting enough protein and calories is as important as training hard enough to trigger muscle growth. It’s essential our muscles are provided with enough protein before going to sleep. However, if you consume too many calories before bed, it can results in those calories being retained as fat, so it’s largely better to eat calorie-rich meals earlier in the day. On the other hand, if you enjoy a smaller amount of calories containing meals one or two hours before going to sleep, it’ll help you build muscle mass without gaining much body fat. 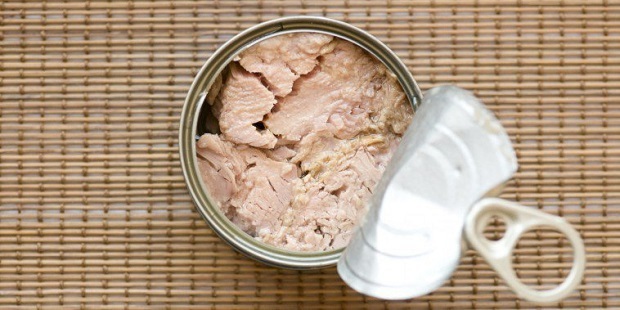 If you’re tired of preparing something to eat before going to sleep, choose canned tuna with a bit of olive oil. Olive oil is beneficial to consume together with tuna because it gives additional healthy fats that are necessary to stay healthy, while canned tuna provides lots of protein before. One can of tuna (165g) and a bit of olive oil will provide you with 220 calories, 42 grams of protein, zero grams of carbs and six grams of fat. Another great meal before going to bed which helps to stop junk food cravings is a mix between cottage cheese and almonds. While you eat both of these products together, you digest them slower, so your body will get a slow and steady release of nutrients while you sleep, which is useful to build muscle mass. 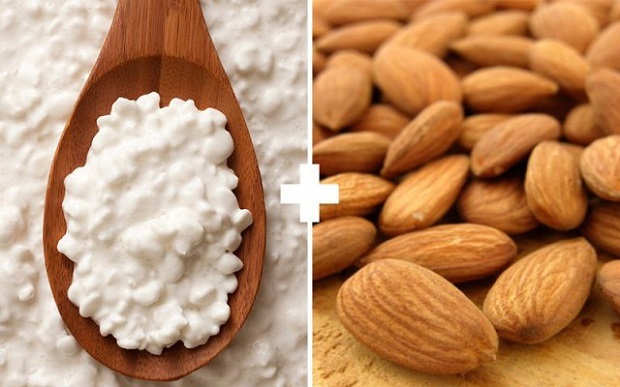 One cup of low-fat cottage cheese and one ounce of almonds contain approximately 327 calories, 34 grams of protein, 16 grams of fat, and 11 grams of carbs. 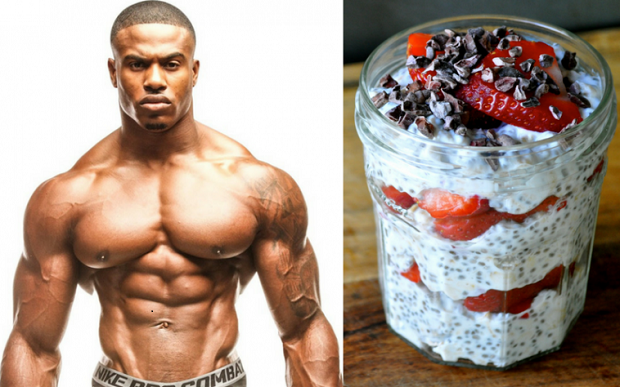 reek yoghurt is popular among bodybuilders as a sweet and healthy product to choose when you want to get more nutrients and protein compared to a regular yoghurt. If you eat Greek yoghurt together with Chia seeds and berries, you get an antioxidant meal rich in fiber, omega-3 and protein. 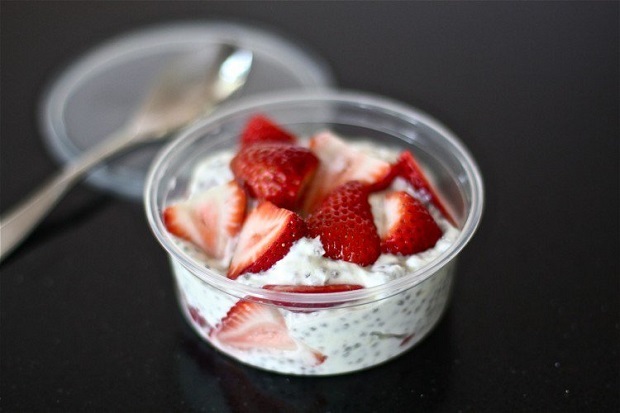 One cup of Greek yoghurt together with one tablespoon of Chia seeds contain 180 calories, 23 grams of protein, three grams of fat and 14 grams of carbs. Whey protein is known for helping bodybuilders to grow muscle mass by providing essential amino acids that are important to achieve muscle growth by stimulating anabolic hormone production. Most of the time, people hate to consume whey protein alone, but it can be delicious if consumed together with peanut butter, or any other type of nuts you like. 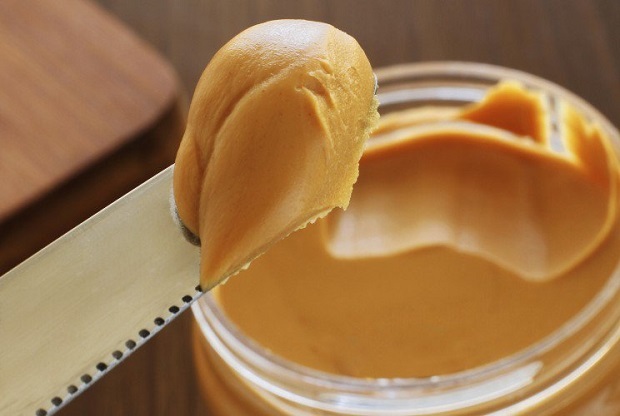 Two tablespoons of nuts or 28 grams of peanut butter together with whey protein contains 288 calories, 28 grams of protein, 16 grams of fat and 12 grams of carbs. Eating too many fat-rich products before bed can result in poor sleep, so it’s better to choose low-fat cheese before bed. It’ll provide enough protein in order to grow muscle mass, while raw veggies like tomatoes, cucumbers, broccoli, or any other veggie you like, will increase your vitamin, mineral, and fiber intake. 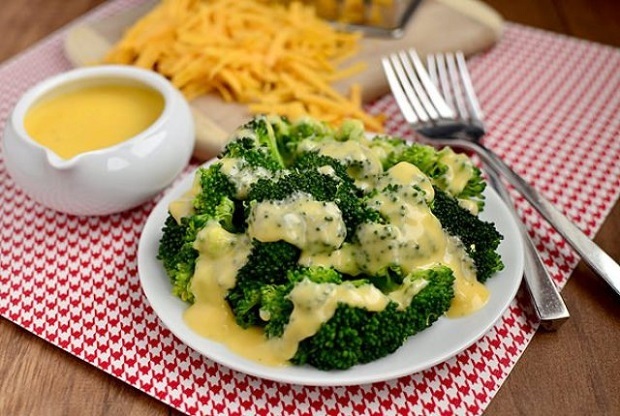 A meal consisting of 150 grams of cheese and 200 grams of veggies will provide 270 calories, 36 grams of protein, 10 grams of fat and seven grams of carbs. Casein protein is a favorite product among bodybuilders when you need to get more slow-digested protein and stop muscle breakdown while sleeping. 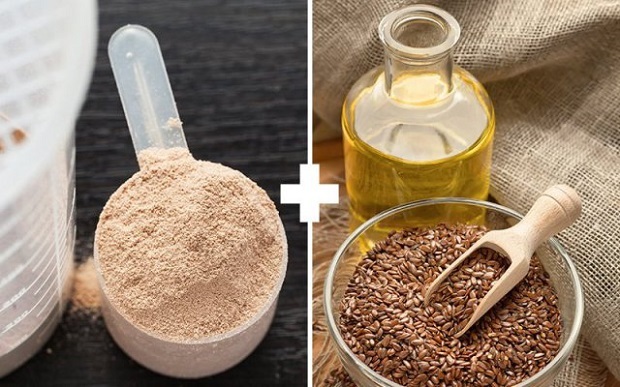 To make casein even more beneficial, mix it with flaxseed oil in your shake as it helps avoid cholesterol problems, reduces the risk of liver disease and decreases the blood pressure. By eating 28 grams of casein protein powder and one tablespoon of flaxseed oil, you’ll absorb 221 calories, 20 grams of protein, two grams of fat and three grams of carbs.